With Kanopy, residents of the TADL taxing district will have access to more than 30,000 Films. 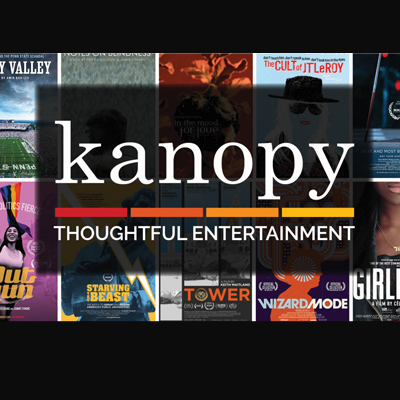 The popular on-demand film streaming service Kanopy is now available for free at all six TADL network library locations. Residents of the TADL District can access Kanopy and sign up to start streaming 4 films per month instantly by visiting tadl.kanopy.com. Films can be streamed from any computer, television, mobile device or platform by downloading the Kanopy app for iOS, Android, AppleTV, Chromecast, Amazon Fire or Roku. Offering what the New York Times calls “a garden of cinematic delights,” Kanopy showcases more than 30,000 of the world’s best films, including award-winning documentaries, rare and hard-to-find titles, film festival favorites, indie and classic films, and world cinema with collections from Kino Lorber, Music Box Films, Samuel Goldwyn, The Orchard, The Great Courses, Paramount Pictures, PBS and thousands of independent filmmakers. With the motto of “thoughtful entertainment,” Kanopy provides TADL patrons with access to films of unique social and cultural value; films that are often difficult or impossible to access elsewhere, and programming that features diversity, with a wide array of foreign language films and films on race, and current affairs. Hey parents, we’ve got a brand-new source of educational and entertaining children’s programming—free* to watch! 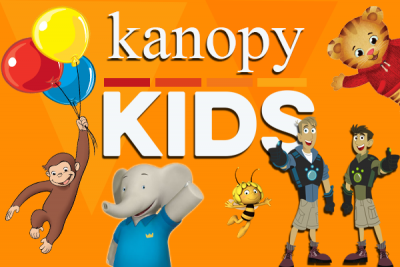 TADL also brings you access to Kanopy Kids, featuring hundreds of enriching videos available to stream whenever you want. Stream the videos that leave your little ones entertained and help them learn and grow! Kanopy Kids is free to stream for residents of the TADL taxing district and features hundreds of educational and enriching videos that spark children’s imaginations. Kanopy has partnered with Common Sense Media™ to provide developmentally appropriate age ratings so parents know which videos are best for their kids. Visit tadl.kanopy.com/kids to sign up for this service using your library card or drop by the library for more information, and watch up to four titles each month (per library card account). * Kanopy service is available to all TADL card holders living within the taxing district. This service is not available to library patrons living outside of the taxing district.